A single pipe burst can cost $1,000 to $4,000 in water damage cleanup and repair fees, according to HomeAdvisor. Though water damage from a burst pipe inside your home is typically covered by a standard homeowners insurance policy, dealing with the cleanup and filing a claim can be a hassle. The main reason pipes burst? “It’s almost always temperature-related,” says Michael Mccan, plumbing manager at Michael & Son Services in Alexandria, Va. “Any water line that goes below 32 degrees can freeze.” When the water inside a pipe freezes, the ice causes an increase in pressure; when the pressure gets too high, it ruptures. “In the D.C. region, we start to see a spike in frozen pipes at the end of December” when the outdoor temperature drops, Mccan says. 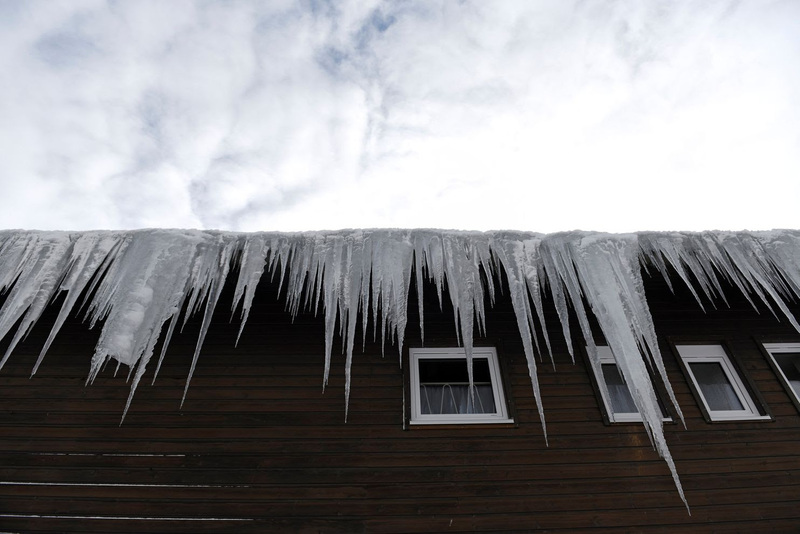 In colder areas (think cities such as Boston and Chicago), pipes can freeze even earlier. However, people living in southern regions with warmer weather should still be concerned, the Insurance Institute for Business & Home Safety says. In fact, “water pipes in houses in southern climates often are more vulnerable to winter cold spells, since the pipes are more likely to be located in unprotected areas outside of the building insulation, and homeowners tend to be less aware of freezing problems, which may occur only once or twice a season,” according to an IBHS report. The good news? There are precautions you can take to protect your home’s pipes from freezing — and even thaw frozen pipes safely before they burst. One common scenario in which pipes freeze is when people go on vacation and turn off the heat, which causes the temperature inside the house to drop significantly. Thus, “in an unoccupied house we recommend keeping your home above at least 60 degrees,” Mccan says. • Keep interior doors open (this allows the heat to circulate throughout your home more efficiently). • If you have ceiling fans, “flip the switch in reverse to draw the air down and warm the room,” Mccan says. • Keep garage doors shut, especially if there are water lines in the garage (which tends be colder than other areas of the house). • Close outdoor vents, such as in attics or crawlspaces, to prevent cold exterior air from penetrating your home. • Disconnect all outside water hoses and let cold water trickle out of faucets in unheated areas or where pipes run on an exterior wall, as this can help relieve any pressure building from ice inside a pipe. There are many insulation material options. “The thicker the insulation, the more freeze-proof your pipes will be,” Mccan says. Fiberglass insulation is the gold standard, but “it’s not practical for every homeowner, because it’s more expensive than other types of insulation, and you have to bend and cut it, so installing it would require a professional,” he says. Looking for a cheaper, install-it-yourself option? Everbilt’s foam pipe insulation acts as a protective cover against cold during the winter and heat during the summer (when condensation can build) for copper and PVC pipes, and it only costs about $1.50 to $3 per six feet from Home Depot. Other types of pipe insulation can cost as little as $0.50 per foot, the IBHS says, so check your local hardware store. Like smoke detectors, water sensors can be a godsend during an emergency. These devices detect leaks before costly water damage occurs, which can save you hundreds if not thousands of dollars in repairs. They can also detect moisture before mold can grow. Mccan advises placing water alarms strategically throughout your home in areas that are at risk of water damage — under sinks, behind toilets, near water heaters, refrigerators or dishwashers, next to washing machines, and close to air conditioner drain tubes. One budget-friendly option is a set of Honeywell’s reusable water leak alarms ($9.84 each at Home Depot). Want to monitor leaks when you’re not at home? Consider buying the iHome iSB02 ($29on Amazon), a battery-powered install-it-yourself water monitor you can control from your smartphone. The main sign you have a frozen pipe: You turn on a faucet and only a trickle of water comes out. If that happens but there’s no water leaking, run warm water through the pipe to melt the ice. Applying heat to the pipe by wrapping it with towels soaked in hot water can also do the trick. Do not use an electric heater, hair dryer or any device with an open flame to try to thaw the ice; the high heat can damage the pipes or even start a fire. When do you need backup? Generally, you’ll want to call a plumber if you can’t thaw a frozen pipe, a frozen pipe is cracked or leaking, or a frozen pipe is behind a wall or ceiling. Licensed plumbers charge about $80 to $130 an hour depending on the job, timing and location, HomeAdvisor reports.